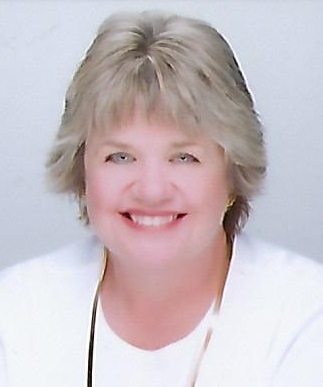 Christine "Chris" Schwer, 68, passed away on Sunday, March 3, 2019 at her home. She was born on November 15, 1950 to Robert and Jean (Nieter) Loffer. Chris was a 1969 Delta High School graduate. After being a homemaker for many years, she returned to work in the cafeteria at Delta Middle School where she was commonly known as "Chris ketchup and mustard lady." She then moved on to be an instructional assistant at Delta High School in the resource room before returning to school in 1985 to complete bachelor's and master's degrees in elementary education from Ball State University. She retired from Delaware Community Schools after working all 25 years as a third grade teacher at Royerton Elementary School. After retirement, she spent many years caring for her mother along with her sister, Cathy Smith, of Carmel. Caring for their mother was an honor both sisters shared, and created a bond between them that will always be cherished. Above all, Chris was a devoted servant of God, and her unwavering faith carried her through every moment of her life. This faith was evident in how she lived her life by leading Bible studies at church, serving on the Little Blessings board of directors at Eaton Church of God, or even sending cards to others to uplift and encourage them. She was a true example of what a Christian woman should be. Her marriage to Glen was one of her greatest gifts from God, and they celebrated 50 years together on February 15. Chris and Glen enjoyed traveling, having been to 49 out of 50 states. They were known for just getting in the car and going wherever they felt led to go. They enjoyed visiting various places with their children and grandchildren including Florida, Canada, and Cedar Point where they thrived on sitting on the benches. Chris' greatest joys were reading, her pool, and going boating and fishing, especially with her grandchildren. A perfect day for her would include breakfast at Miltons, followed by tubing and fishing on the reservoir. These memories will be cherished by her family and truly, her grandchildren were the joys of her life. In addition to her husband of 50 years, Glen Schwer, she is survived by three children: Jeff Schwer (Teresa), Suzy Fox (Trent), and Terry Schwer (Jera); grandchildren: Rob Fox (Alexis), Seth Fox (fiancé, Maddie Holdren), Ryan Fox, Lucas Fox, Matthew Schwer, Mallory Schwer, John Michael Schwer, and Alice Schwer. Chris was preceded in death by her parents and two brothers, Terry Loffer and Mark Loffer. Funeral services will be held at 11:00 a.m. on Thursday, March 7, 2019 at Eaton Church of God, 700 E Harris St., Eaton with Pastor Roger Spitler officiating. Private burial will be at Eaton Union Cemetery. Visitation for family and friends will be prior to the funeral services from 9:00 until 11:00 a.m. The family would like to thank the doctors, nurses, and staff of St. Vincent's Hospital, especially Dr. Michael Callahan and Amy Benefiel, and the St. Vincent hospice team. In lieu of flowers, memorials may be sent to Eaton Church of God or St. Vincent Hospice. Pitman-Richman Funeral Home of Eaton is entrusted with arrangements. Visit WatersFuneralHomes.com to sign the guestbook or leave a condolence.